SIMPLE! WE TROLL THE OFFICE BATMAN! 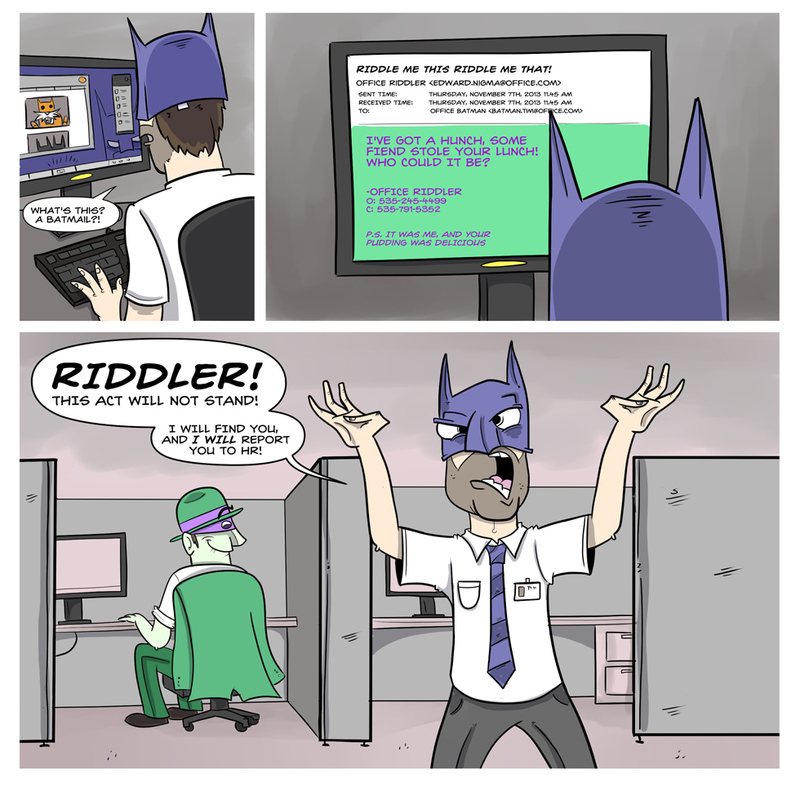 └ Tags: comics, humor, office, office batman, Riddler.